Okay so first off - Here is a picture of Killians horse Regina magically &apos;whipped&apos; up for him, he&apos;s a Palomino Andalusian. I&apos;ve been tossing around some names for his mount, (I was strangley thinking of Solomon...) but then I thought Maybe you would like the pleasure of naming Killian&apos;s Horse?! 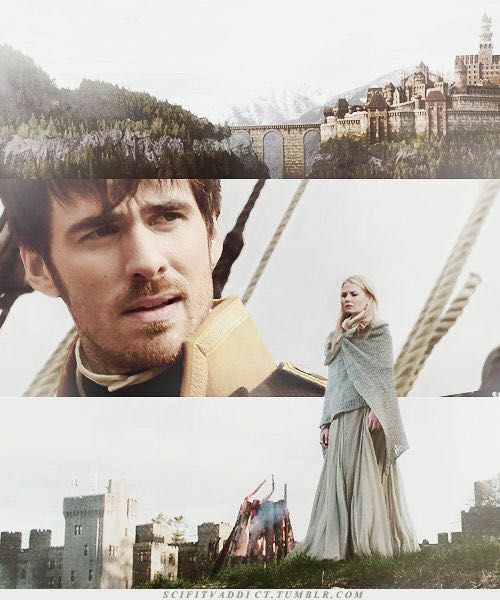 After riding for miles, Killian Leisurely trots into a small town astride his horse. Only a small Tavern on the corner of the barren streets lay lit in these wee hours before the dawn. Killian swings off, tying up his steed at the wooden hitching post. His horse snorts, grinding his teeth against his bit as Killian gives him a parting pat before swiftly hopping up the stairs making his way inside the musky building. The rusty hinders squeal, alarming his arrival. The first thing Killian notices as his eyes dart around the room, is that theres not a soul inside aside from the old bar keeper located at the end of the bar, lookin&apos; half asleep as he leans back against the wall. The man has dark brown dreadlocks with silver twisted in between, he grabs a tankard making himself look busy; "Boy Lad - you look as though you&apos;ve just bit a bullet." The man calls  with an accent much like Killians, as he cleans out a beer mug with his worn hand towel. Killian ducks his head, his brows raising while securing the door shut behind him before he saunters acrossed the rickety floorboards covered in dirt. Getting closer to Killian from behind the bar the man gives him a hard look. "Pick your poison my boy, what&apos;ll it be?" 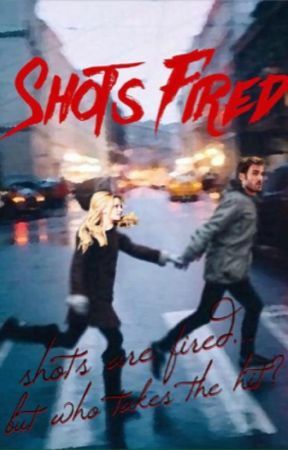 Killian mumbles under his breath, moving to sit on an empty stool at the bar. "The good stuff." Killian instructs the bartender, his voice a low growl. Honestly just needing something to relinquish the Relentless demons torchuring him. 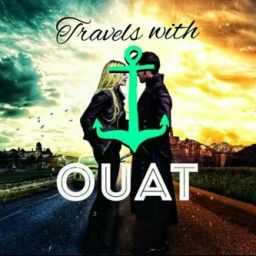 To Killian&apos;s surprise, the rather shifty bartender didn&apos;t reach around for the Rum, He didn&apos;t pour him a beer or hand him a bottle of Whiskey. Instead His brown eyes locked onto his uncertain gaze, they went misty before he shatters the silence the empty tavern harbored. "Lad, You can&apos;t find that here." Killian looks confused for a moment, what&apos;s his drift? The man grabbed a bottle of goats milk from under the bar, of all things - making Killians eyes light up with amusement, holding back a chuckle with a slight smirk. He poured himself a glass And Killian smiled, "I&apos;ll have some of that if you please, mate." The two men sat there talking as an hour passed, just like old friends. "My Elizabeth, I lost her to an illness that struck the town a couple years back." He tells him, "I spent five years in a tavern drunk off my a** after she was taken from me." Tears shimmered in his strong eyes as he glares at his glass. "I&apos;ve been sober for three years now lad, Cause the one thing&apos;s stronger than the Rum... Were the memories. Memories of her holdin&apos; my baby lass; Or the way she adored that string of pearls I surprised her with the day that our youngest boy Married." Killian watches on respectfully as the mans eyes sparkled, replaying the moments over on his life beaten face.